Absolutely gorgeous Slots - Journey of Magic, the best looking casino slots on Google Play just got better! Now featuring Full-HD graphics, optimized for tablets! “Gave 5-stars for the graphics, would have given 6-stars for fun game." “This is one of the best games that you have to play. I'm simply hooked." BEAUTIFUL GRAPHICS - Download and see why Slots - Journey of Magic HD is the best-looking casino slots game ever made! PROFESSIONAL SLOTS - Experience state-of-the art slot mathematics and game design. FREE COINS - Collect free credits every 2 hours and get even more free from Scratch Cards. PLAY WITH FRIENDS - Invite your friends and compete with them for the highest level. Slots - Journey of Magic is guaranteed fun! 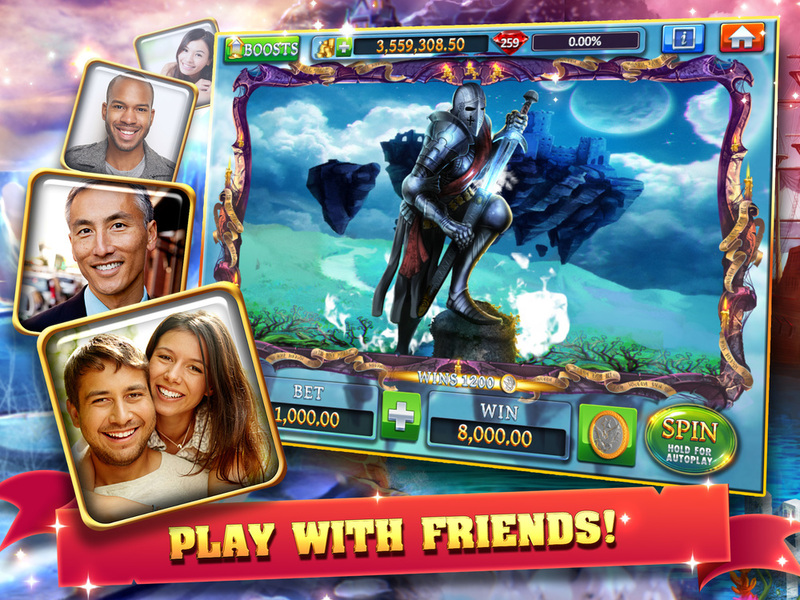 Play this mobile treasure now for free and you'll never play any other slot game again!